Physics Buzz: The Next Big Bang. 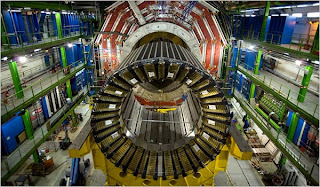 TV + the LHC, what could be better? From Cosmic Variance, a new program " The Next Big Bang" premieres Sepember 9th on The History Channel, chronicling everything from the Large Hadron Collider's history to its novel design. It starts tomorrow, September 9th. So watch it!